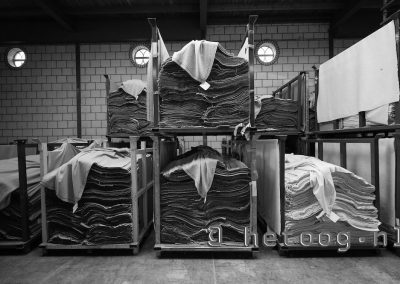 Today A.C. ter Kuile is the last weaving mill left in Enschede, were there used to be over 30 weaving companies with immense capacities. 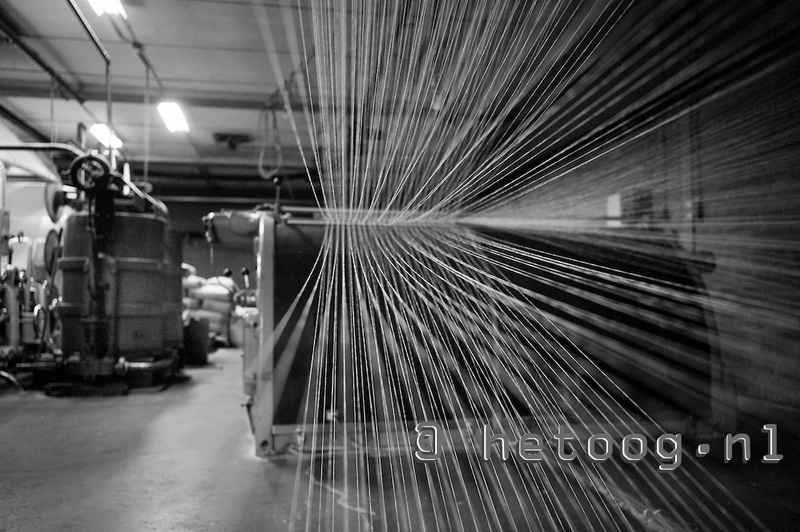 The preparation of the warp is done in-house, for a maximum control of the quality. 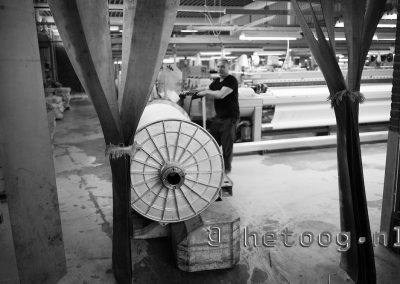 The articles from the weaving room are all individually inspected and the various articles are collected on the same huge pallet to go to the next stage of the production. 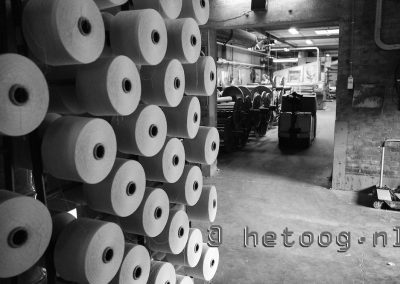 The interlinings are desized, washed, finished, dried and cured, in order to give a good crease recovery and a firm and resilient handle and to reduce the shrinkage of the interlining to a minimum. All our articles can be finished according the standards of the Öko-100 certificate. During the winding the interlining is inspected for stiffness, shape and faults. 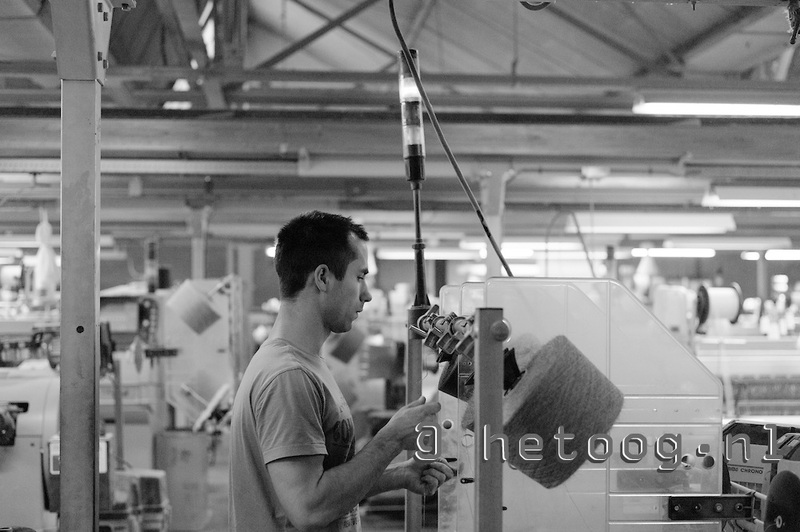 Accurate measuring is also done at this final stage of production. A.C ter Kuile has a qualified forwarding department, with the capacity to dispatch the ordered goods the same day or the latest the next day after ordering.Every day we have trucks going to most European countries. 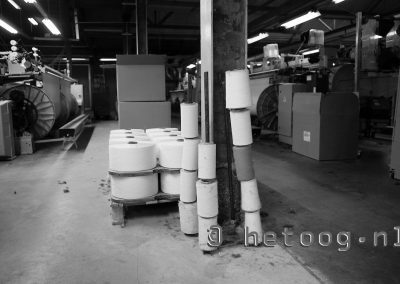 Most of our articles are normally in stock, for bigger quantities or special articles we are always striving to serve our customers in the best way possible. A.C. ter Kuile has been established in 1923. 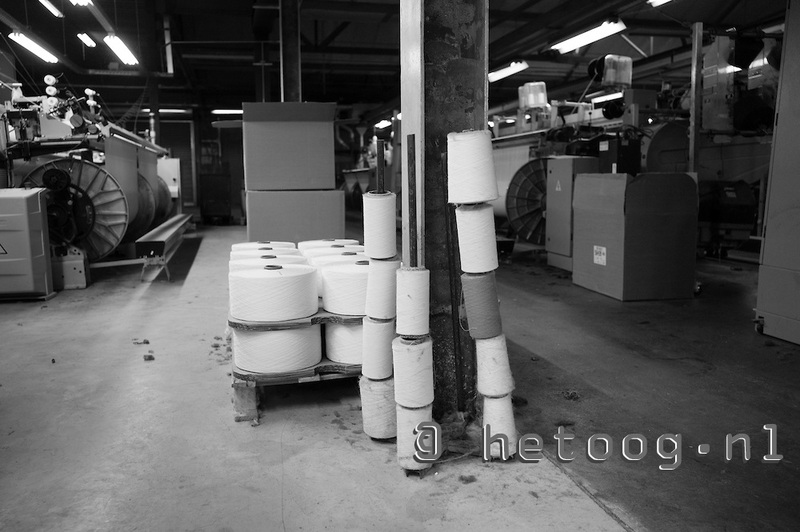 The company started with the production of hair interlinings, horsehair linings and necktie interlinings with wool, cotton, polyester, viscose, etc. 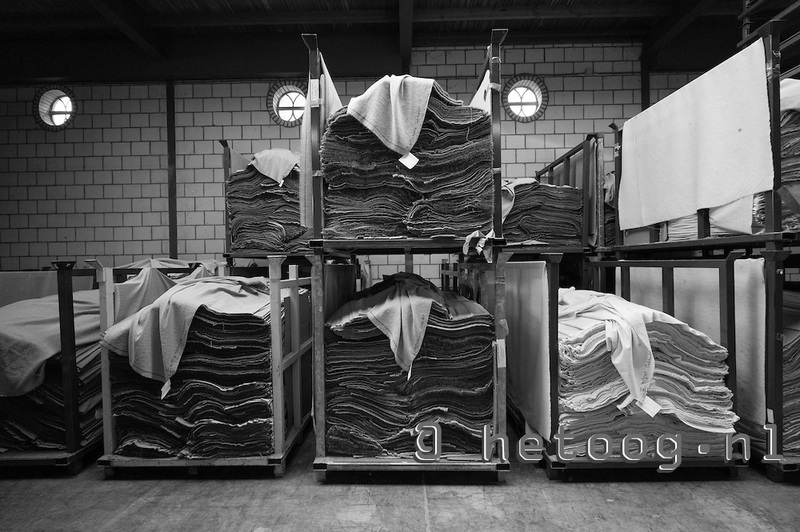 In the beginning A.C. ter Kuile has been producing their own endless horsehair yarn with specialized machines, but this production has been stopped in the early 60’s. 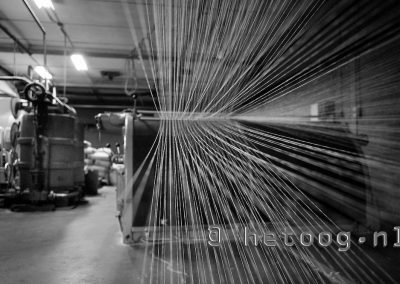 With the introduction of the fusible interlinings in the market, a difficult time started for the hair-interlining producers. 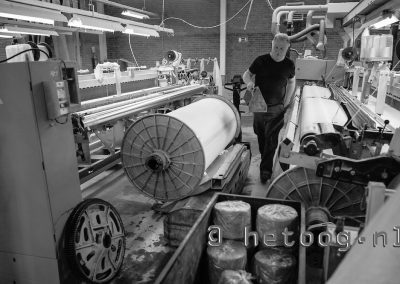 The only Dutch manufacturer who came through the difficult 60’s and 70’s was A.C. ter Kuile B.V. Today it is one of the two weaving mills left in Enschede, were there used to be over 20 weaving companies with immense capacities. After 1945 Mr. K.C.H. 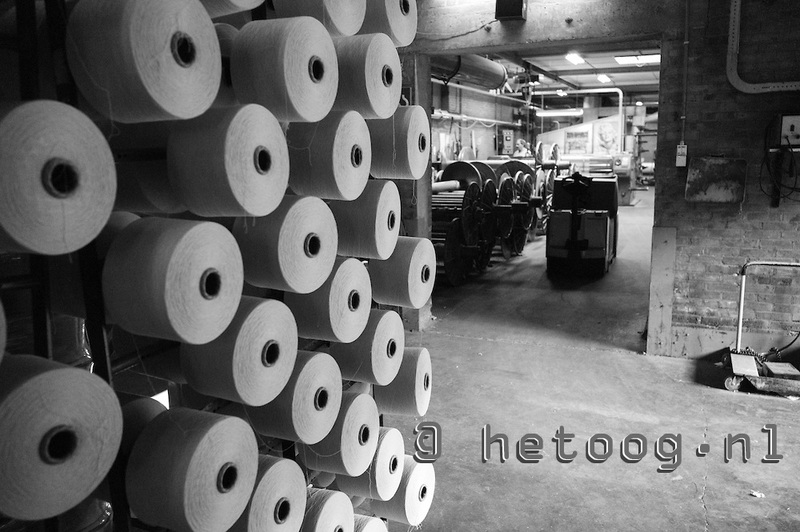 Meihuizen, who was director of a family owned company, sold his shares and bought himself in at A.C. ter Kuile. 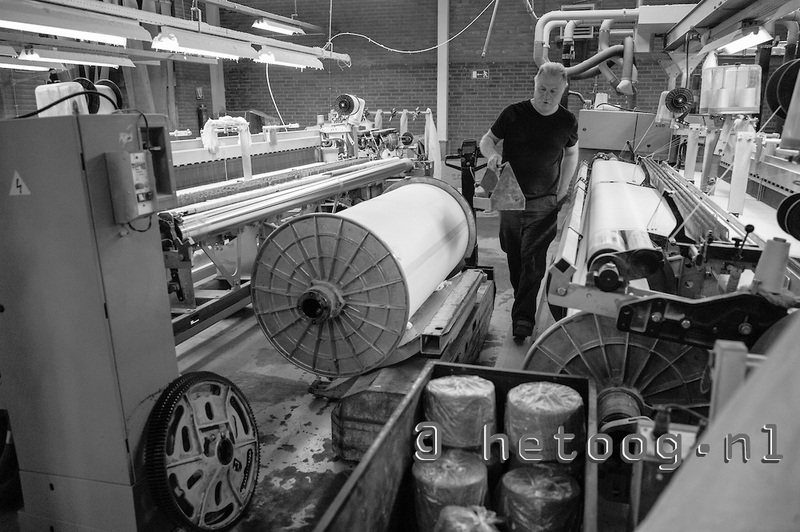 In 1963 his son, Nicolas J. Meihuizen, has made his entry in the company and has expanded the export business. In 2002 the third generation has made his entry by Mr. K.C.H. Meihuizen (1966). This is a guarantee for the future continuation of the company. On a global range A.C. ter Kuile a is familiar name to many manufacturers of suits and ties, mainly in Europe. Today the majority of the production goes to foreign countries were A.C. ter Kuile has established a very well known name. Quality, on-time delivery and the possibilities of producing a lot of products and in accordance with the wishes of the customers are very important.